About The City Of Doraville, GA. The city of Doraville is rich with history and alive with passionate residents. From the GM plant to the new movie studio, Doraville is small but fierce. 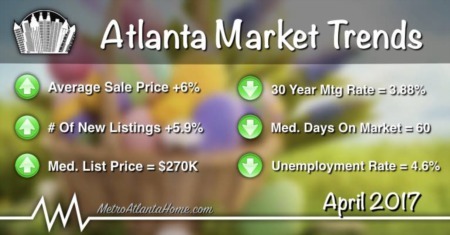 Reminiscent of an old small town, Doraville is an active community and city, with a police department, MARTA station, post office, library, municipal court, city hall, and city court, as well as a DMV, fire station, and city favorite Buford Highway Farmer’s Market. Located just 10 miles from downtown Atlanta, Doraville is a favorite of those looking to live close to the city without the chaos and expense of city living. Around 11,000 people call Doraville home. Incorporated in 1871, Doraville began as an agricultural community that complimented the surrounding farmland. Soon after World War II, officials took advantage of the numerous railroad lines running through the city and partnered with General Motors in order to build its newest assembly plant. This spurred rapid growth in Doraville, and in the late 40s, its first subdivision, Guildford Village, was in the works. Throughout the next 40 years, Doraville grew at an astounding pace via annexation of Northwoods and Oakcliff, two smaller neighborhoods located near the city. By the 1980s, immigration was in full swing, and many Asian and Latin American families settled in Doraville, creating one of the most diverse communities in the country. MARTA built a station in Doraville in 1992, bringing professionals and students into the city. By 2008, however, growth slowed, and the Great Recession forced GM to close the plant. However, 2015 and 2016 was a banner year for Doraville, seeing the vacant plant razed and plans for a new live/work/play and movie studio development created. The future is bright for Doraville, and residents are excited to experience a new phase of life. 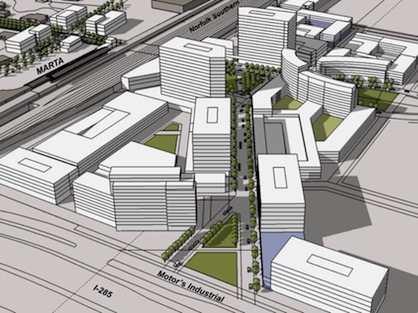 The real estate market in Doraville should get a nice boost from the redevelopment of the old GM Plant location. Formally an assembly plant until GM closed the site in 2008, new owners have big plans for the 165-acre plot. Now known as Assembly, the development will be home to a 270,000 square foot office and movie complex called Third Rail Studios. On that note, an additional entertainment section is being tentatively planned, called the Yards. The film industry in Atlanta is booming, and Assembly will be one of the first major film studios on the north side of Atlanta. In addition to film and office space, Integral Group plans to create a residential and commercial section, as well, with walkable streets and parks along with dining, shopping, and other retail options. Atlanta first saw this type of development in the early 00s with Atlantic Station; Assembly will be 30 acres larger than the midtown hub. Assembly will open in stages, with some office space planning to open in late 2015 and the movie studio in January 2016. According to the US Census Bureau, Doraville has 8.9% people under 5 years of age, and 7.2% people over 65 years. Females make up 45.2% of the population. 49% of the population is Hispanic or Latino, followed by 44% Caucasian and 17.7% Asian. The median household income is around $40,000 with a mean travel time to work of 33.1 minutes. The weather varies, as weather does in Georgia, but average temperatures range from 45 in January to 85 in July. Autumn Park – One of the largest public parks in Doraville, Autumn Park is a 6.3 acres and located in between Allen, Autumn, McClave, and Raymond Drives. Autumn Park contains picnic tables, numerous large playing areas, and plenty of playground equipment. In the future, the city hopes to expand Autumn Park to include a walking trail, picnic pavilions, exercise stations, and a toddler play area. Bernard Halpern Park – Just off of Tilly Mill Road, Halpern Park has undergone a fresh update and is now a popular park for residents and visitors alike. With two tennis courts, play area, picnic pavilion, and playground, this 4 acre park now also includes numerous walking trails, updated picnic pavilions, new playground area, and a new outdoor basketball court, as well as an updated drive and parking area. Brook Park – Located on Ramon Drive, Brook Park is a large 6 acres with two lighted tennis courts, a picnic pavilion, and a playground. Chicopee Park – Chicopee Park is a small park, just over an acre, but it’s a neighborhood favorite. Located just at the end of Chicopee Drive, the park contains a picnic pavilion, a playground, and open playing area, perfect for families. English Oak Park – English Oak Park lies on English Oak Drive. Just over an acre, English Oak Park contains a picnic pavilion and a playground. Flowers Park – Just behind the police station on Park Avenue lies Flowers Park, a 4.7 acre area that is a favorite among residents. Flowers Park includes the public pool, a 25 meter lap and swimming pool. 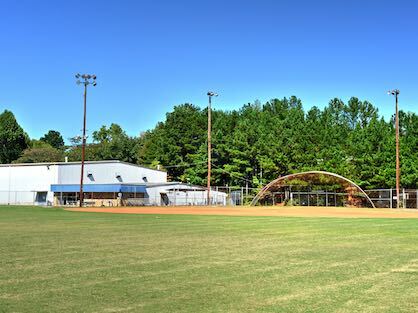 Honeysuckle Park – Just over 20 acres, Honeysuckle Park houses Fleming Arena, two regulation sized football and soccer fields, and four baseball fields, all of which are lighted. Restrooms, concession stands, picnic pavilions, and a walking trail complete the Honeysuckle Park offerings. The Paul Murphy Boxing Club - Known for being one of the gyms where former heavyweight champion Evander Holyfield used to train. Open Monday – Saturday, the Paul Murphy Boxing Club is located just across from the Doraville MARTA station and offers private training, classes, and memberships. Fleming Arena - If basketball is your game, Fleming is open for adult play year-round. A $20 refundable fee pays for any rentals you might require. Fleming Area is also home to weekly Tai Chi and Qi Gong classes, taking place every Thursday morning, as well as several hip hop dance classes each week. Taught by the recreation department, karate and martial arts lessons take place 3 days a week, also at Fleming Arena. The Doraville Municipal Pool - The city pool is open May through September. In addition to swimming, the pool is also available for parties and outdoor events. A water aerobics class is offered, as well. 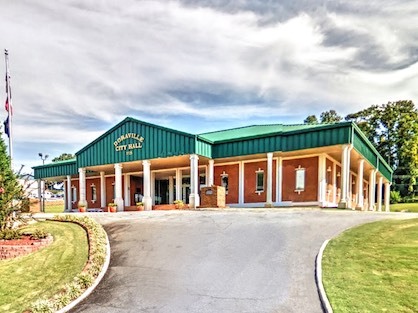 The Doraville Civic Center - A small community gathering place on Central Avenue. Residents and community groups alike are free to use the civic center for parties, meetings, and other special events. Christmas Tree Lighting Ceremony - Every year in late November the tree is lit at City Hall in the presence of Santa and his elves. Halloween Spooktacular - Doraville’s annual Halloween Party is held each October at the Doraville Library. There are games, spooky stories, songs and a costume contest. Holiday 5K 4 Kool Kids - This annual late November event is an official qualifying race for the Peachtree Road Race. The event also features a “Tot Trot” that begins at 5:30PM. Movies Under the Stars - Movies are shown on a 30 foot screen at Honeysuckle Park starting at dusk. Dog Dayz - The event is for dogs, dog owners and people that love dogs and the companionship they provide. 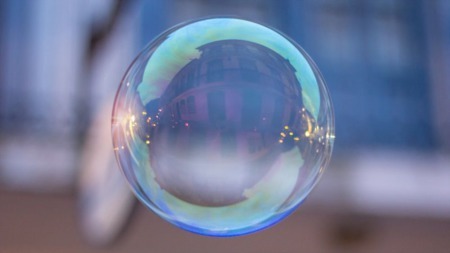 It is a family-friendly event that will feature balloons and a bouncy house for the kids as well as dog contests, local artists, art market, bake sale, baked good raffle, complimentary hot dog picnic and a blessing of the dogs. Food Truck Rally - Food trucks are all the rage nowadays, and Doraville is getting in on the action! 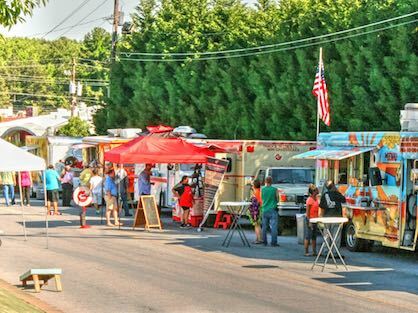 The second Wednesday of every month is the Doraville Food Truck Rally, a night of delicious food, games, music, and socializing. Held in partnership with the Atlanta Street Food Coalition, the Doraville Food Truck Rally will feature around 10 food trucks that bring a variety of local, regional, and cultural cuisine, including creole, Spanish, burger, Indian, and more!